I've just arrived from Southeast Asia to North America, and in honor of (yet more) snow falling in the mid-Atlantic region of the US at the end of March, here are some great clips showing how even snow and ice specialists slip up sometimes. What was amazing to me about these clips is the utter lack of serious damage these falling penguins sustained. They bang themselves on rocks and get right back up and carry on with just a shake of the head. Resilience must be crucial for those living in harsh environments, but only if the body is naturally adapted to it. Those same short, squat, dense-feathered, high-fat birds wouldn't last a day waddling across the hot sands of a desert. For one, they hold in heat through dense, overlapping feathers and a layer of fat underneath. They are speedy only in the water, so for this guy, progress would be too slow to even find shade in the dunes. 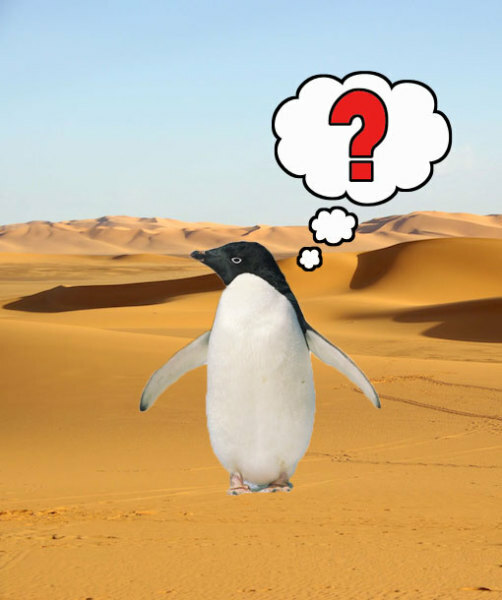 But, happily, natural selection means that penguins are found in cold wet places, not deserts. 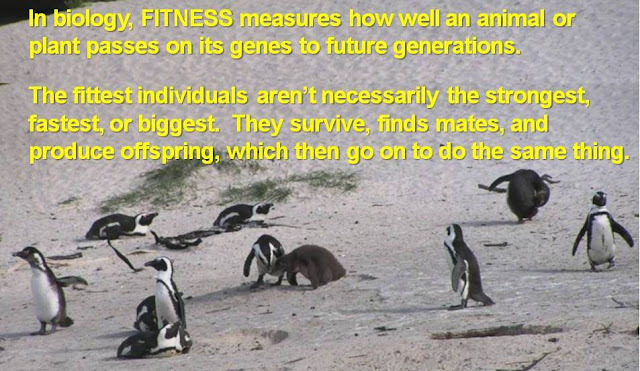 And for this they are superbly adapted and biologically fit. Below is some BBC footage of the treacherous world that penguins navigate every day, just to survive. No sand dunes, but they face harsh rock, tempestuous seas, and predators. Watch here as they rocket through the water, out-maneuver sea lions, and show their sure-footedness climbing up near vertical rocks. That short, squat body and low center of gravity help the climb!